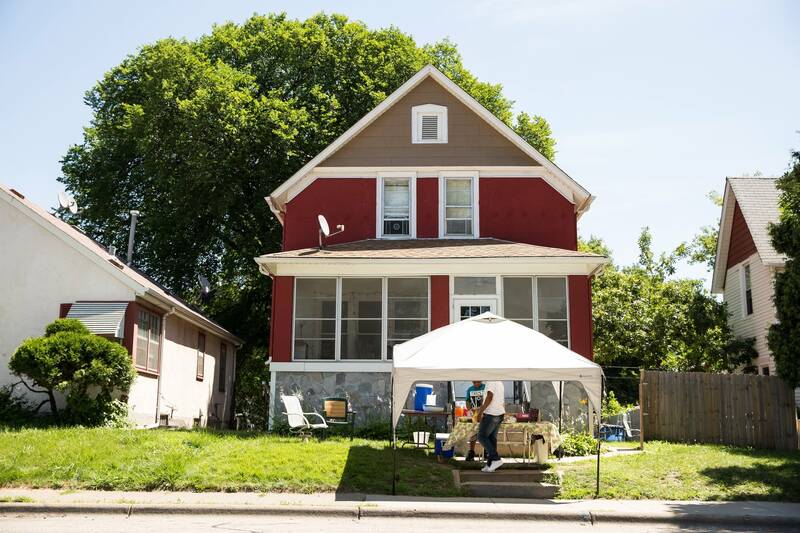 On the front porch of 1510 Penn Ave. N., Mr. Faulkner's Old-Fashioned Hot Dogs was preparing to open at 11 a.m. For the owner, 13-year-old Jaequan Faulkner, it was a big day. He'd been grilling dogs without a permit all summer, risking a shutdown by health inspectors. Monday was his first day operating with a license. Deandre Harrison, of St. Cloud, stopped by out of curiosity. 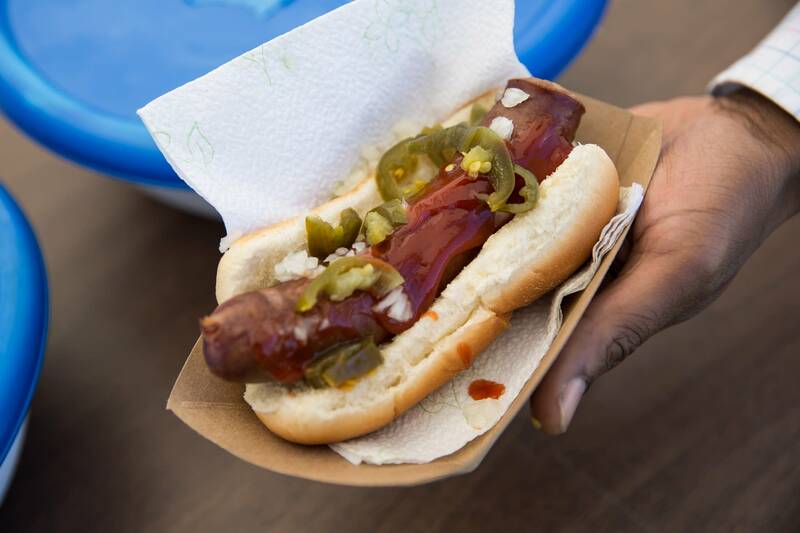 After tasting one of the teenager's hot dogs, he said that he was impressed. "He has a cash register, he's got receipts. He seems like a very intelligent kid with a bright future ahead of him," he said. "You don't see many of him at 13 years old with that mindset." 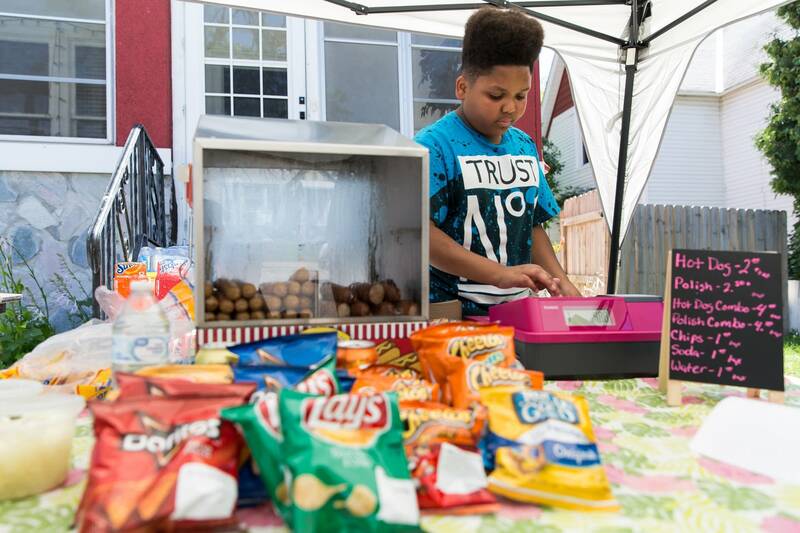 Jaequan actually started his business with his uncle two years ago, but business was slow and he soon lost interest. "Well I started and I just didn't do nothing with it. I just took it, and that's it, I was just like 'Nah, this is kinda boring, so I don't wanna work it no more,'" he recalled. Jaequan's uncle, Jerome Faulkner, remembered as much. "I bought the stuff, we stayed open for two days. And he gave up," he said. "[He has] to be dedicated to do this." So when Jaequan asked him again, next year, he said no. "We're not gonna do it, because you're not ready," he said. "He asked me for the entire summer." 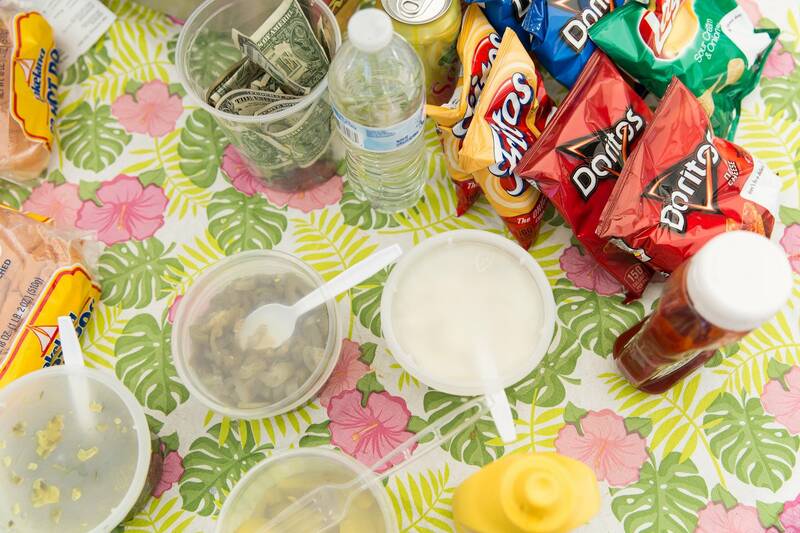 This summer, though, the young entrepreneur decided to get serious. "Summer vacation came again, and he asked me once again, and I looked at him like, OK ... you gotta be serious this time. We're gonna do it, but you gotta be serious. He said 'I got it, I got it,' I said OK. And it took off," he said. Since then, Jaequan's uncle has taken a more observational role. Jaequan, his uncle said, handles 90 percent of the business. "I help him get set up, and I fall back on the porch," he said. "He worked from 11 to about 9, and I was like, 'that's kind of long, Jaequan. Let's break it down to 7.'" Then, when Jaequan worked eight-hour days the following week, he said, "let's break it down some more." Jaequan now works four-hour days, from 11 a.m. to 3 p.m., though he admits that the extra time he now has is spent "thinking about what's next." 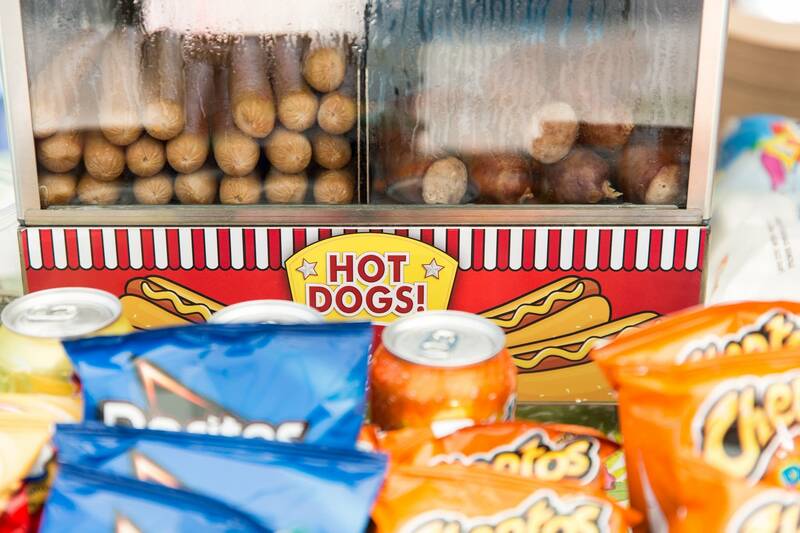 As news about the hot dog stand spread, however, someone complained. While Jaequan made sure that everything was clean and fresh, it just wasn't legal. He didn't have a license. 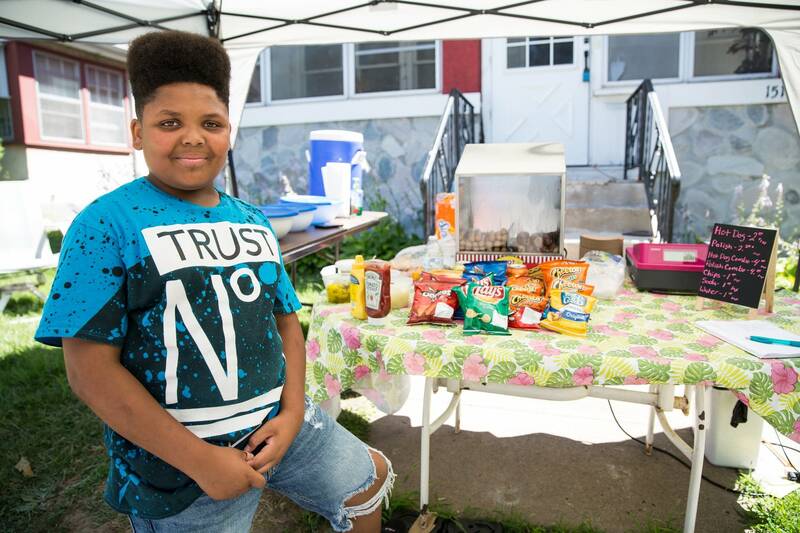 When the Minneapolis Department of Health received the complaint, they decided to help Jaequan enhance his business instead of shutting him down. Daniel Huff, environmental health director for the department, said they were excited to help a young man with such drive. "And instead of shutting him down, we worked with him to make sure that he got everything he needs," he said. "The health inspectors actually all pitched in to pay for his first permit." The permit fee came out to $87. Huff then reached out to the Northside Economic Opportunity Network, who stepped in to give the young Faulkner some pointers on running a business and keeping things clean. Jaequan says that he is overwhelmed by the support. "I was actually kinda surprised, cause usually I would have one person at a time help me, but then with so many people coming at once, I'm like, wow, I realized how much people enjoy it," he said. 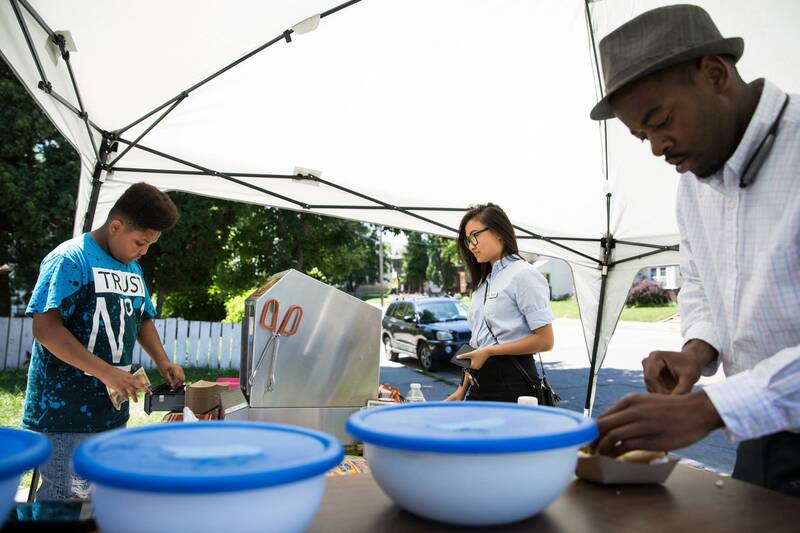 Looking ahead, Jaequan is planning on getting a food cart, so he can take his upstart food enterprise on the road. He is also thinking about donating a portion of his revenue to charities and organizations battling depression. As business got going, someone passed by on a bike. "You're the brightest light in the community!" he shouted. "How does that make you feel?" someone else asked. "It feels good," Jaequan answered, with a twinkle in his eye.